COLOURS: If you want a bespoke RAL colour you must state this in the comments field when ordering & we will contact you for details. 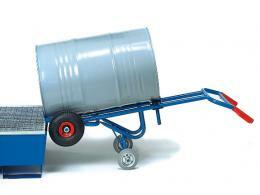 What is the purpose of the Steel Drum Trolley 2 Castor? 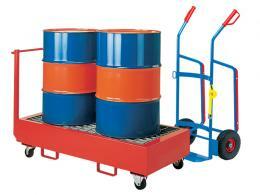 A steel drum trolley is ideal for absolutely anywhere that necessitates drums being manoeuvred about on a daily basis. The product is available with either rough terrain pneumatic rubber wheels or solid rubber, so the trolley can be pushed about effortlessly whenever you need it to. The steel drum trolley 2 castor from the Workplace Depot features plastic handles and knuckle grips and these models have support wheels so you are assured of a safe and secure product that makes transporting drums super-easy. Where can this Drum Trolley be used? Who might use this Wheeled Trolley? Anybody who needs to transport drums around a building or to and from a truck or van will benefit from this steel drum trolley 2 castor. 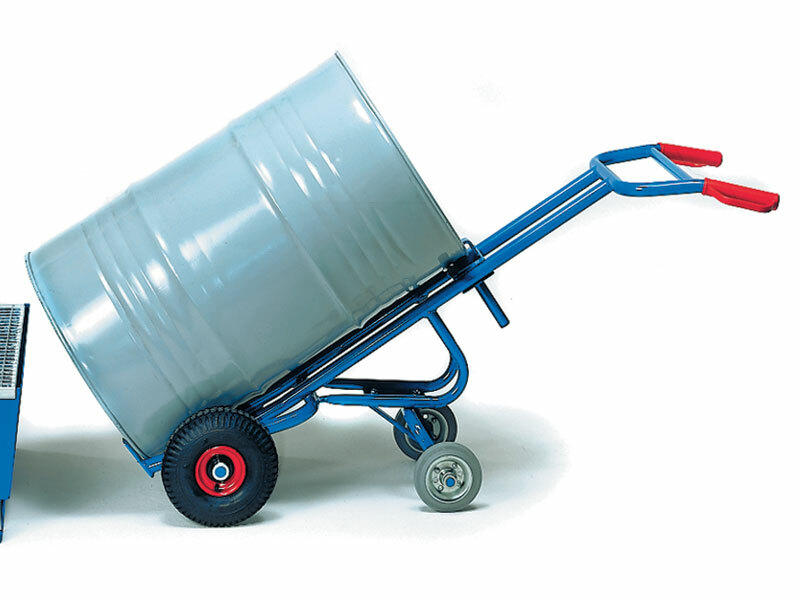 This steel drum trolley from the Workplace Depot is designed with a robust welded steel construction and is ideal for all rimmed steel drums of 200L. The product comes with pneumatic or solid rubber tyres and has been tailored with 2 further solid rubber castor wheels for additional support. 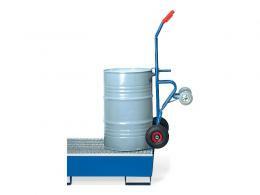 The trolley can take a maximum capacity of 300kg. This product has a standard blue, powder-coated finish, but is available in any colour. If you want a custom colour, simply state this in the comments section when placing your order. Order today and you will receive your product within 10 – 15 working days at no extra charge for free delivery. Our products have a one-year warranty on parts and labour and we offer a Price Promise match. Place your order today or contact customer services with any queries you may have. We accept several forms of payment, including MasterCard, Maestro, Visa, and PayPal.